An extension that offers an offline payment method only for admin orders. This extension for Magento 1 allows you to have a specific payment method in your store's backend for capturing offline payments. 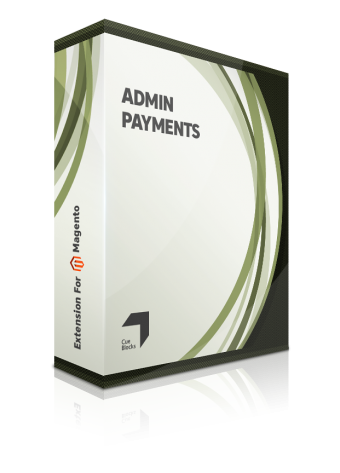 Currently, there is no provision in the Magento 1 backend to activate a payment method only for admin use.Thus, you can expand on the native Magento 1 functionality with this extension. 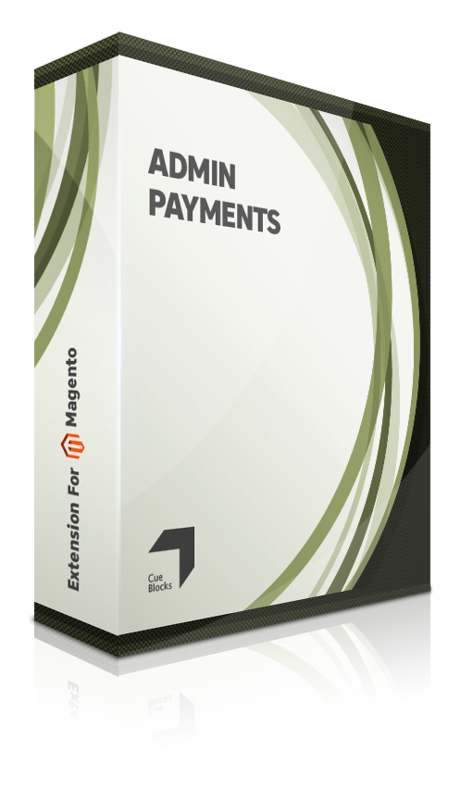 The Admin Payment Method Extension is compatible with all the Magento 1 versions. 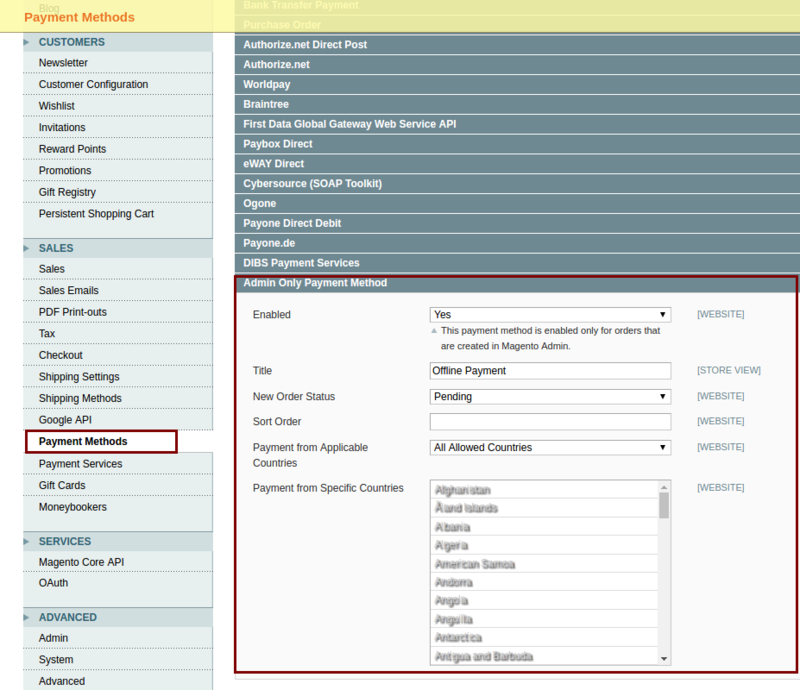 The store admin can use the method in the similar way as other payment methods in the backend. 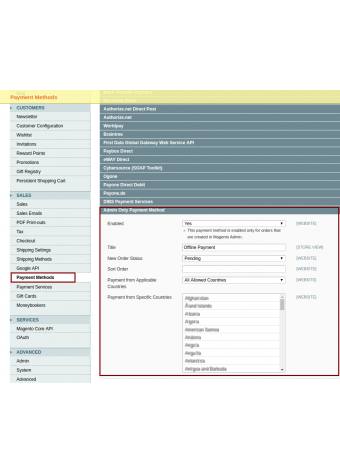 Once installed, the payment method enabled is only to create orders from the admin for your customers and will not be visible on the frontend checkout page. For instance, if a customer orders on phone and transfers money or pays you in cash in person. You can capture these transactions using this extension that provides a payment method visible only in the store's backend and only to the Admin users.